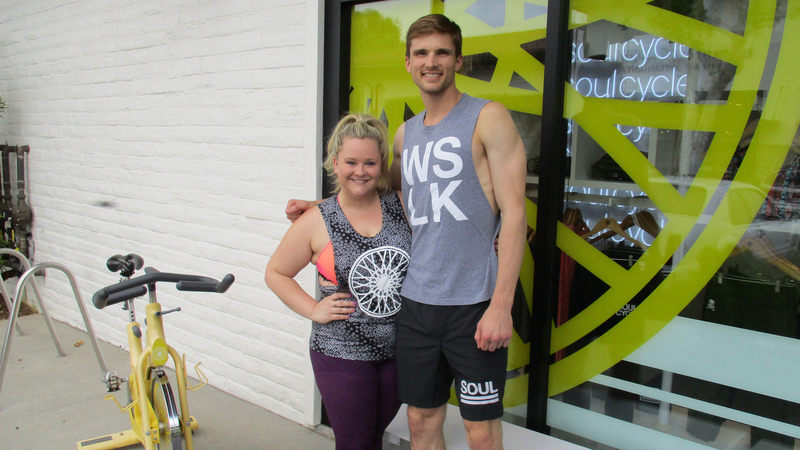 I started riding at SoulCycle with a free ride from a friend." A free class? Sure, why not?" I thought to myself. I was aware of the intensity and caloric burn of a class at SoulCycle, but I was blind-sighted by the life-changing experience I had. I threw a smile on my face to hide my sheepish feelings and walked into the building to smiling faces, music bumping and serene candles lighting the desk. I was greeted so kindly by the employees and was escorted to my bike where Brett walked me through each step of the set-up process. I was a little taken aback by the kindness each person emulated, as I am not used to this type of selflessness, even in a professional setting. I struggled through the entire class, sweat dripping off of every inch of my body, thanking God that I wasn't in the front row. But I found myself smiling through the sets! I could not believe that I was happy to be working out! I could not believe I, Kelsey, of all people, felt actual happiness during a workout! After physical battles of injuries and weight gain, among the many obstacles life has thrown, the last few years have rendered me hopeless for ultimate happiness and fitness until this day. During the last uphill battle of the class, Joey started verbally coaching us through the class: "Life is an uphill battle. No one is going to do it for you. You must do it for yourself! The struggles are going to be there regardless, but it is up to you to decide to push through them. No one said it would be easy, but I swear to you it will be worth it. YOU are worth it! So capable, so strong and so amazing!" Tears started welling in my eyes, and I could not stop them from rolling down my face. At that moment, I was really grateful that the room was dark and that my tears and sweat looked synonymous. I was completely captivated by the idea that someone could be so selfless as to care about a being they did not even know, especially someone who was not in the most incredible shape. Me? Is he talking to me? Couldn’t be. I am the rider bouncing off-beat with the extra weight to lose. I am the girl that is book smart, and definitely not an athlete. I am the girl trying not to make eye contact with the instructor to hide among the masses. To my amazement, he WAS talking to me, along with every single other person in that room. I felt so motivated, so strong, and so powerful. I could not quit! I felt like a total warrior! I craved more! I immediately purchased a set of classes, worried about the price point as a first-year teacher, in search for that feeling. 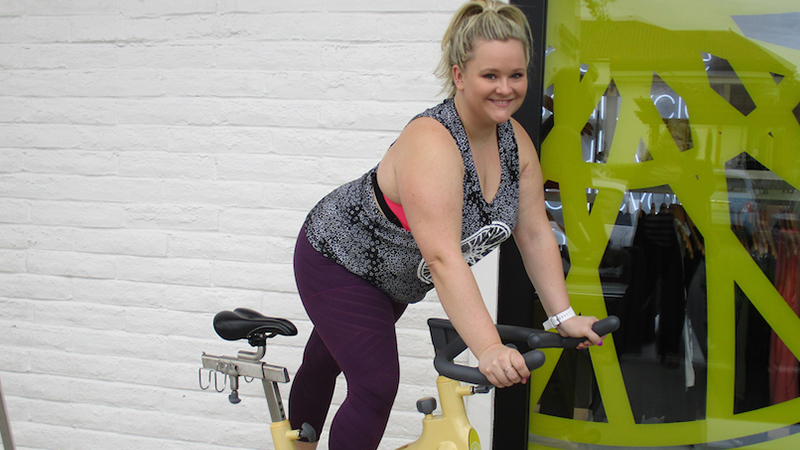 I jumped head first into SoulCycle, and as a result, my life changed. 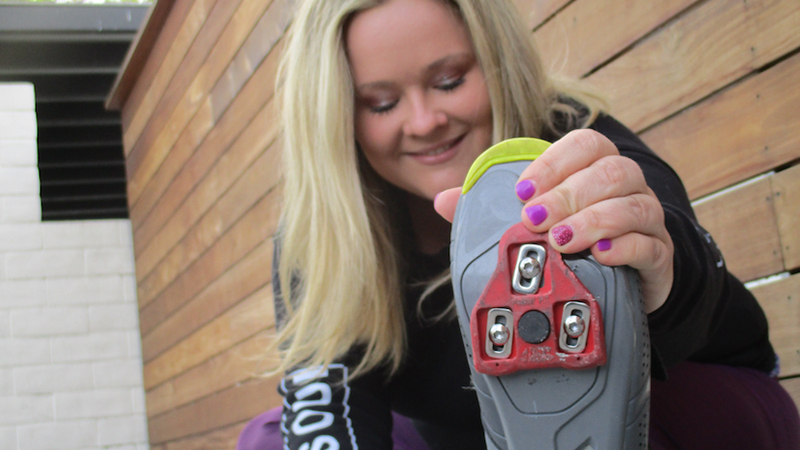 My mindset switched from wanting to lose weight to wanting happiness; from “having” to work out to “getting” to work out; from craving carbs and sugar to craving food that will nourish my body to ride as a stronger athlete. These changes became second nature to me, furthering the change of my mind, body and soul. The impact on my life has been monumental because of this philanthropic company. I am so lucky to go to a place where progress is celebrated no matter how minute, and I am pushed through with kindness and motivation for a better day each and everyday. I have learned that I AM worth the struggle, I AM an athlete, and I AM a SoulCycle Warrior! I now see life for its beauty, and I strive to make sure that everyone I come in contact with feels loved, powerful and capable, just like I do! “Whatever we do, we do as a team.” There is so much power in this way of ‘doing,’ which has allowed me to strengthen my physical aptitude, and also create mental tenacity that will carry me through my life. Thank you, SOUL, for teaching me so much, and for showing me the power that lay within me.